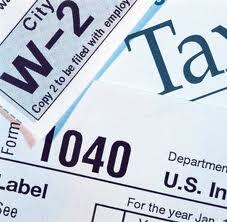 A total of 43 states plus the District of Columbia collect a state income tax in addition to the Federal Income Tax. Depending on your state and tax bracket, your state tax rate can be as low as 1% or as high as 13.3% of gross income. For more information on your state's income tax, choose your state from the map below or compare income tax rates across the states on our income tax by state page ▶. A total of 45 states plus the District of Columbia charge a sales tax on most purchases of goods (and sometimes services) within state borders. Every state and county in the United States collects a property tax on real estate, buildings, and other forms of property owned within their jurisdiction. Taxes collected on an identical property may vary widely depending on where the property is located, even within in the same state. Tax-Rates.org lets you drill down into your state's median property tax rates to a county level to allow in-depth comparisons. For an interactive map, see property tax by state ▶. Estimate your federal and state taxes - fast and free! The Tax-Rates.org Income Tax Calculator is the most powerful free income tax tool available on the Internet! Estimate your income tax burden with as much or as little detail as you'd like, and start planning ahead for April. We provide a one-stop resource for finding state and federal tax information, including income, sales, and property tax rates. All information on Tax-Rates.org is updated directly from the latest tax rate information provided by the IRS and the individual state tax and revenue services. Tax day is coming - Try our brand-new, powerful Income Tax Calculator!